RLM 27 Seychelles, "Lone Star"
The RLM 27 Seychelles is a well built cruiser with separate forward cabin. The twin BMC diesels are economical yet provide easy handling. 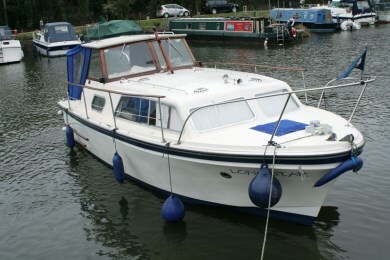 This well fitted RLM 27 has twin economical engines and handles well at low speeds. 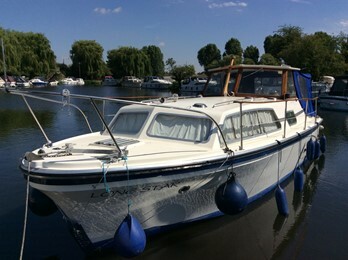 RLM were a Thames carpentry company who fitted out 23ft to 32ft craft using the mouldings from Senior marine. Their production run was approx 1967 to 1982. Their craft featured quality teak ply interiors.